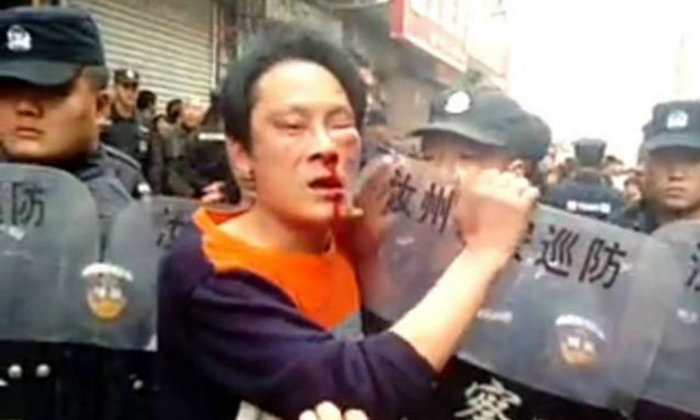 An estimated 300 local ruffians in the employ of the local government set upon the residents of a small town in central China, attempting to evict residents and make way for the demolition of their homes. 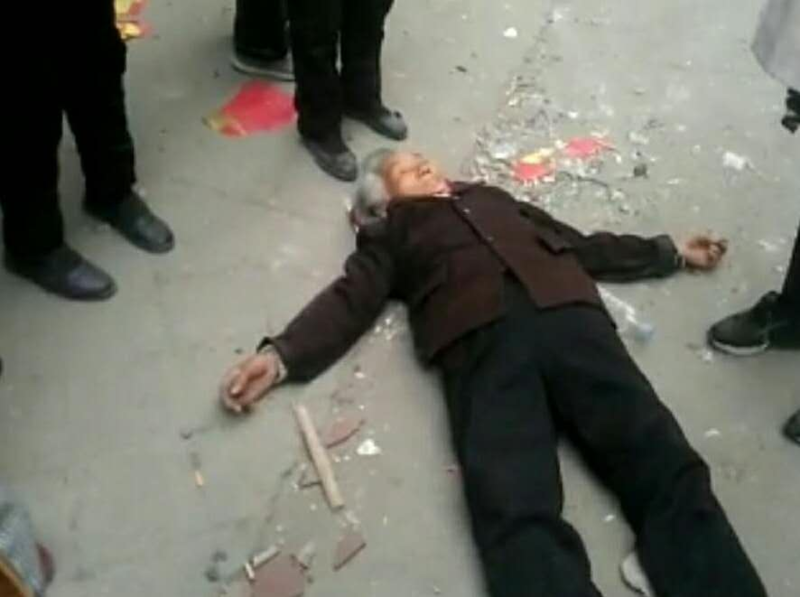 Villagers rushed to defend their properties, and photographs of bloodied protesters and fallen elderly women quickly made their way online, leading to outrage by many Chinese who chanced across or shared them. The incident took place in a town called Wenquan, in the city of Ruzhou, Henan Province. Many were severely injured in the conflict, and, according to a resident, an elderly woman may have died in the melee. This claim could not be confirmed. “The government tried to demolish houses by force—yesterday they demolished two or three, and dispatched 200-300 people,” a local resident to told New Tang Dynasty Television, a Chinese-language broadcaster that is part of the Epoch Media Group. Locals say that the government wants demolish the town as it stands now and rebuild it, perhaps an attempt to capitalize on the local hot springs from which many locals derive their living. Since March 10, over ten families had their houses demolished, before proper agreements could be made between residents and the authorities about compensation. Such occurrences are common in China, where people without political connections are often at the mercy of Communist Party officials, and where local government revenues rely primarily on the sale of land. Officials often requisition rural land, rezone it as urban land, and then sell it to developers for a higher price, taking a cut for themselves in the process. “If you resist, you are attacked and no compensation will be granted, now everyone is in state of anxiety,” the caller said. Another resident, in a hurried phone call, said: “We cannot make a living in the future, and they are wrecking our lives,” according to NTD. Observers of the incident online did not find this pronouncement particularly convincing.